US Representative Joe Barton, a Texas Republican, has introduced a new Internet Poker Freedom Act of 2013 in Congress. The bill was introduced yesterday and immediately referred to two separate House committees, Energy & Commerce and Financial Services. Barton introduced a similar poker-only bill back in 2011, amid a much busier legislative look at online gambling that included multiple efforts by Barney Frank and the much-discussed Reid-Kyl effort, which failed late last year. This bill is similar in many respects to Barton’s earlier effort though a handful of elements are worth mentioning here, even if the bill is unlikely to escape from committee. I’ve skimmed the majority of the 102-page bill already, which references most preexisting legislation, including UIGEA, and also brings up the United States v. DiCristina judgment in favor of its proclamation that poker is a game of skill and thus deserves special consideration and protection from Congress. Barton’s bill is notable in that it includes opt-outs for both states and tribal nations, with tribal sovereignty superceding state law in cases where they might conflict. For example, if a state opts out, but a tribal nation within that state opts to offer online poker, then they would be allowed to include the residents of their reservation land in the area deemed open for marketing and use of online poker. Also, all areas of the United States would be assumed opted in until and unless opted out in writing to the Commerce Department, under which Barton’s proposed Office of Internet Poker Oversight would fall. 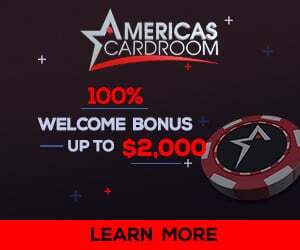 Any site licensed at the federal level would then be able to offer online poker to all US citizens not living in jurisdictions which have expressly opted out. The Barton bill does include a five-year “bad actor” provision for previous US-facing operators, but since the language in the initial bill currently goes into effect for those “convicted” of a crime related to online gambling, it’s toothless in its current form. Major overseas operators such as PokerStars and PartyPoker would not be affected under the initial language as proposed. One interesting aspect is that the bill includes a ban on credit-card processing in conjunction with online poker. This is certainly a nod to both problem-gambling considerations and to banks, the latter connected to the high rate of charge-backs connected to credit-card use online in the past. While some of the bill’s poker-industry analysts have already decried this inclusion, this may be a case where discretion is the battle part of valor, and that such an inclusion likely increases the slim chance a bill like this might have of garnering mainstream approval. And those chances are slim. GovTrack.us puts the bill’s chances at 11% of getting out of committee, and just 2% of becoming law, slightly lower than the 11% and 3% rates for House legislation on average. Given such legislation’s previous poor track record and the fact that most focus on online-gambling laws has shifted to the states, this one probably represents an exercise in well-intended futility. We’ll keep an eye on it, but it’s a heavy favorite to do what Barton’s 2011 effort did: Die quietly in committee. Posted in Online Poker, Poker Culture, Poker News, What's New Blog and tagged Internet poker, Joe Barton, online gambling, online poker, poker legislation. Bookmark the permalink.